So, this article has been a long time coming what with essay deadlines and mountains of reading springing left right and centre, but let us rewind to last month – specifically the date of the 8th of Feb! The settling is Printworks – its industrial aesthetic can cause you to initially be unable to imagine something of the intensity of an electronic music gig happening there. The vast space has an underground vibe, counteracting the commerciality of Gorgon City’s music with its low key and down-to-earth essence. 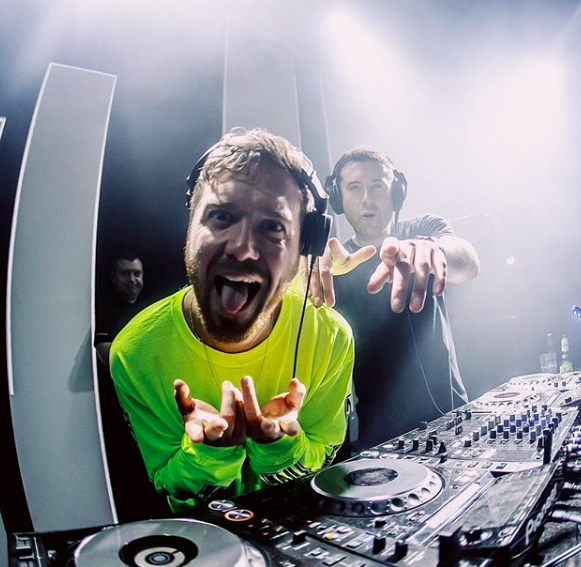 The electronic duo returned to this renowned venue to showcase their second studio album “Escape” which was released in summer 2018, and they succeeded in bringing this energy to the venue on the cold February night. The multifaceted pair treated the audience to house, electropop and UK rap, keeping the crowd pumped for the entire night. 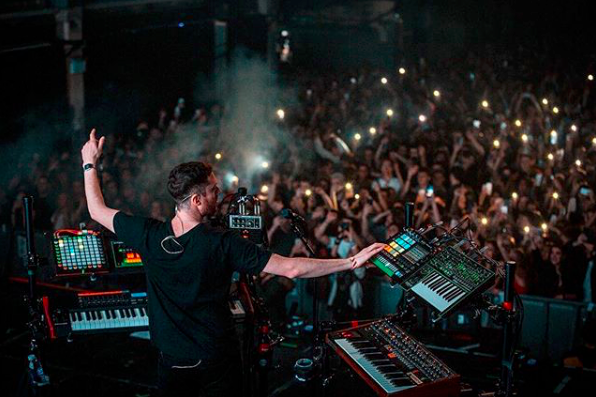 Gorgon City at Printworks was not just a concert, but as if a festival had been condensed under one roof, when you walked into the venue you were instantly hit by the flashing lights and camaraderie of people swaying to music. Gorgon City remained in the background, allowing featured artists Josh Barry and Chenai to showcase their vocal strength and ability to hold a 3000 strong audience rapt. “Love Me” in particular pealed through the room with the sound causing vibrations on the ground as Chenai’s vocals meshed seamlessly to the instrumental, whilst Josh Barry, who having worked with the duo previously on their 2014 album, ‘Sirens’, demonstrated a comfortable and effortless stage presence and ability to work the crowd. The energy onstage was emitted into the audience from the barrier, where revellers grabbed each other excitedly as a chart heralded track would be blasted from the speakers and to the back of the room where audience members had to stand on their tiptoes to make out the luminous stage – although the pyrotechnics themselves were indiscriminate and cast multicoloured beams across the exposed brickwork. Confetti streamed down at multiple points, entangling us in a mass of sweat, booze and high spirits. The intensity of the visuals almost obscured Gorgon City themselves, especially during ‘Motorola’ where the music video flashed against the background as the bass pounded from floor to ceiling. The abrupt transitions between each song kept the audience on their toes where there was no opportunity for anticipation, and each track came as a 120bpm wave crashing into the crowd. They saved their hit single, “Ready For Your Love” for the end, elevating the party atmosphere as balloons were volleyed between strangers in a surprisingly universal and diverse audience. From students to middle-aged couples, it was clear that Gorgon City’s commerciality does not come in lieu of a genuine connection to their sound.